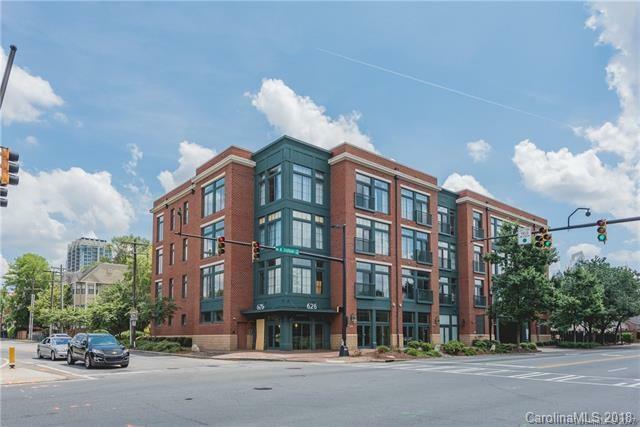 626 North Graham immerses residents in the Fourth Ward charming cultural, artistic, and educational ambience that is Charlotte. Built in 2002, 626 North Graham is an urban loft four-story building that features exposed brick walls, twelve foot ceilings, and large windows. Some of the 43 units feature covered parking on the first floor. The Fourth Ward was the city's first major historic preservation effort, bringing together century old Victorian homes with upscale condos and townhomes. Residents of 626 North Graham are within close proximity to Fourth Ward Park, Discovery Place, and the North Carolina Music Factory.